Hi guys, I hope you are having a good February. 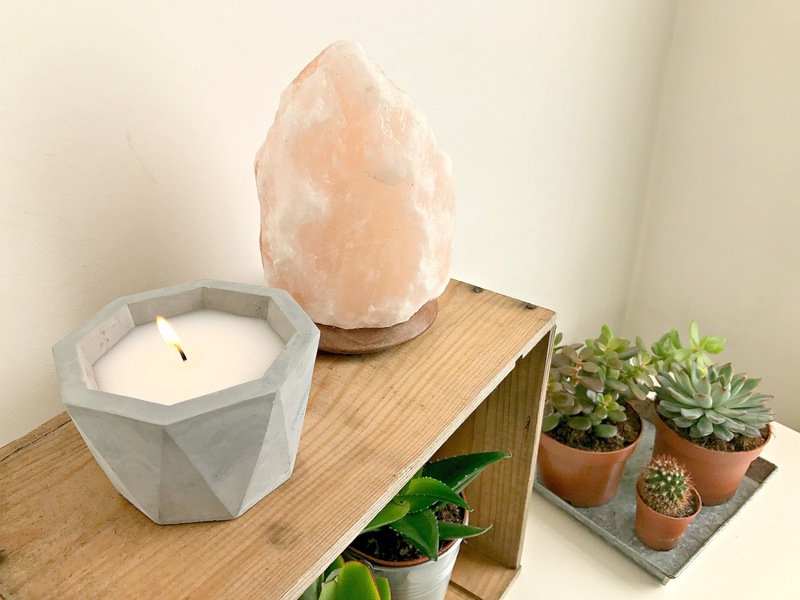 I’m back today with an interior post, (I also did a video on these items over on my YouTube channel – please check it out and if you fancy hitting the subscribe button while you are there that would be great!). I was shopping in Lidl at the weekend, and a few things caught my eye. Is it just me or does anyone else go in there for their usual food shop / cheap gin and find themselves coming out with a load of random items from the centre aisles!? 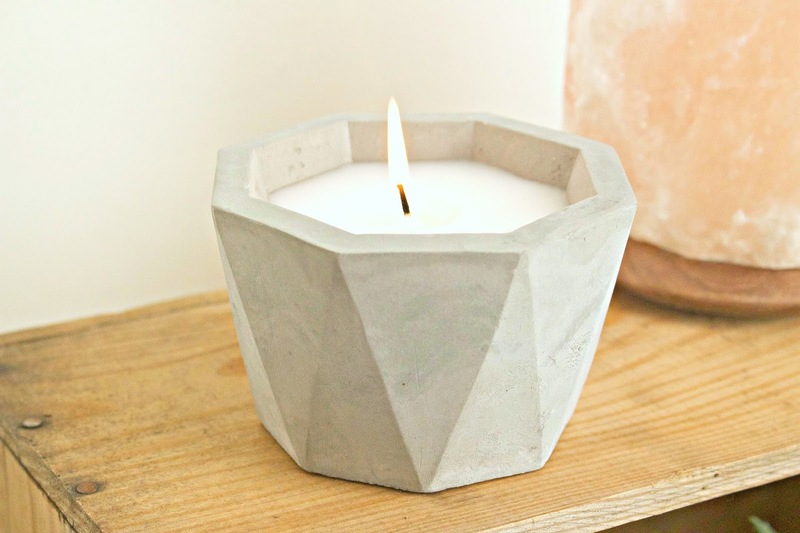 The first thing I picked up was this concrete candle for £2.99. I love the simple geometric design, and the quality is superb. The candle itself isn’t anything to write home about (it’s not scented, and it burns quickly) – but for the price it’s excellent & I’m going to keep the container and use it as a plant pot. They had a range of these in store, including ones with cork in the design & triple wicks. 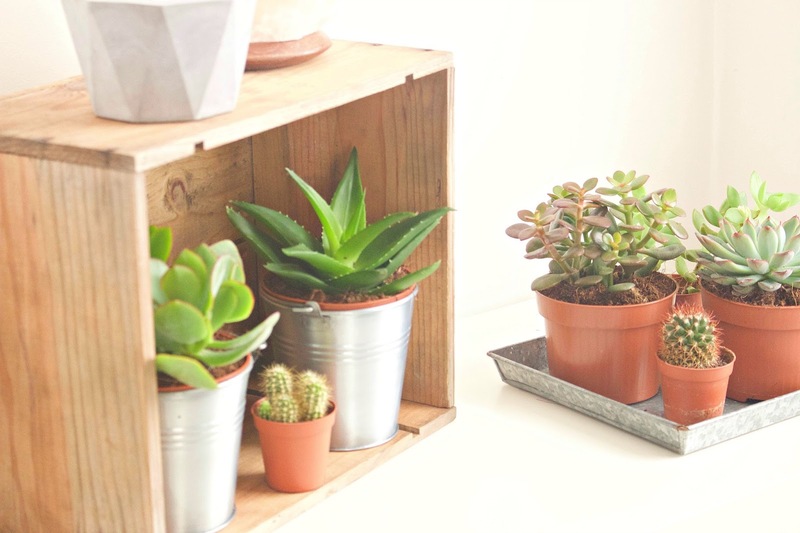 Lidl is a great place to pick up plants, and I found these succulents for £1.79 each – including a money plant and an aloe vera. I also got some mini cacti for 99p each. I’ve placed a couple of them in metal buckets and the others just sit on a metal tray from Tiger. The final thing I bought was this Salt Crystal Lamp for £8.99. 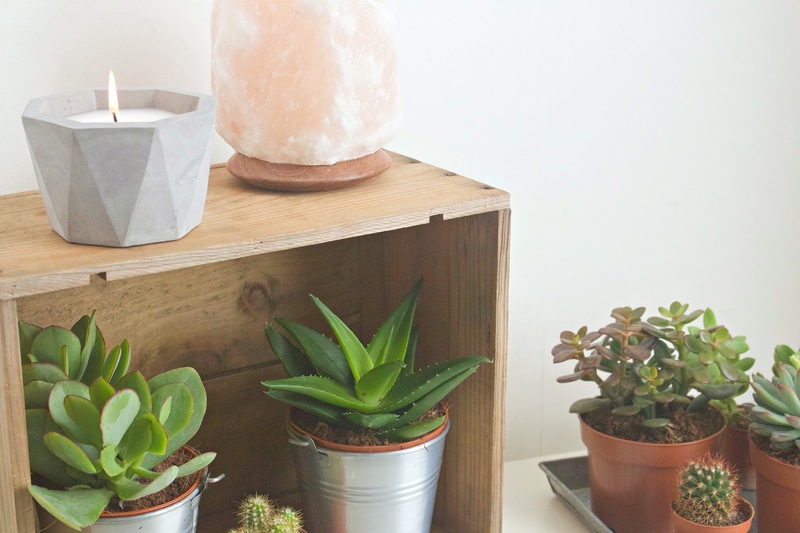 I’ve seen these in Urban Outfitters and think they look really cool – they also give off a really nice glow which gives the room an ambient feel in the evenings. Salt Lamps are supposed to have health benefits by improving air quality. I think it goes really well with the other items and it’s a nice, solid quality piece. I also like that it has a simple white cord with the on / off switch – and thumbs up for it coming with it’s own lightbulb because otherwise I would have forgotten to get one! unit. I hope this has inspired some of you. 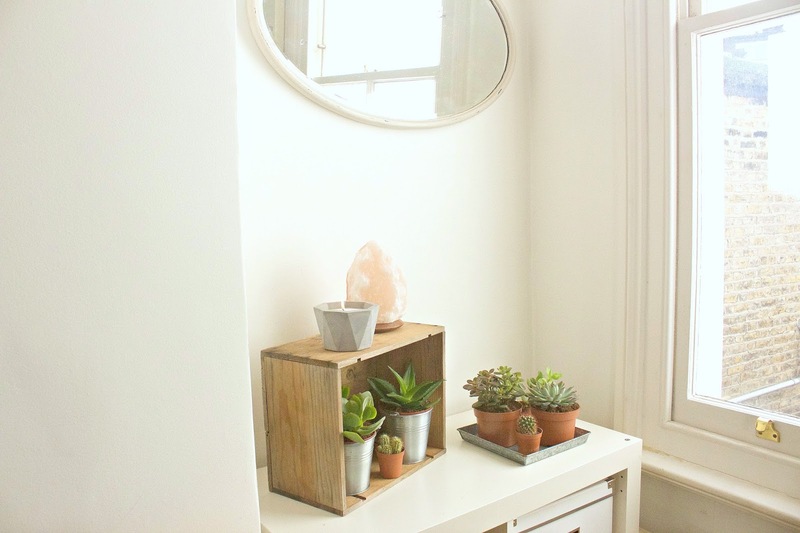 I think it’s great that there are stylish interior pieces out there that are so affordable! Please let me know in the comments where you shop for affordable homeware. Next Post MENS FRAGRANCE – PENHALIGON’S AT TK MAXX!